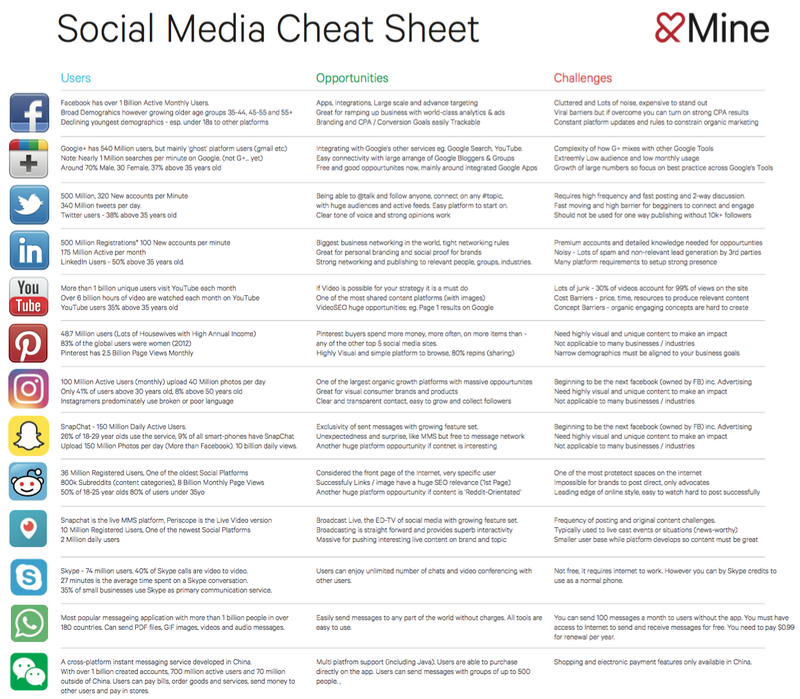 In 2013, we wrote a post for a cheat sheet to social media for 2013-2014. Reading it over, I thought, ‘wow this was ages ago’. Since when did 3-4 years become ages? Well, when we’re talking about the digital landscape and social media trends, even one year is AGES. In our previous post, we discussed Snapchat (sorry, Snap-what?). Since Instagram launched it’s Instagram Stories feature, Snapchat growth has slowed by a whopping 82%. Refer to our cheat sheet below for a break down, but perhaps if your business is relying on the Snapchat platform to reach users, your competitors using Instagram might be about to get a leg up (if they haven’t already). If you take a look at most marketing campaigns across the globe right now, brands are choosing their ambassadors in a different way than they did just a few years ago. Rather than selecting movie stars and pop stars, brands are choosing key influencers. A key influencer could be a regular teenager that has 10 million followers for no reason other than they have great style, run a successful food blog or even if they just post funny videos with their friends. Don’t be fooled into thinking influencers are limited to Gen Z; they are people of all demographics who use social platforms in the right way. They are their own brand. Whether you already have a social strategy in place, or if you are looking to build one from scratch, our cheat sheet breaks down the most used social media platforms right now. Want to know more? Get in touch with us. Let’s grab a picture-perfect brunch, upload it to Instagram and talk about your social strategy. Go on, see if you can challenge us on "Social Media Cheat Sheet 2017" - Part of our 159 services at &Mine. We are quick to respond but if you want to go direct, test us during office hours.